We're Not Like Other Law Firms. We Do Things Differently. At the Rossi Law Firm we look at legal matters differently than most. The outcome? Better results during your time of need. 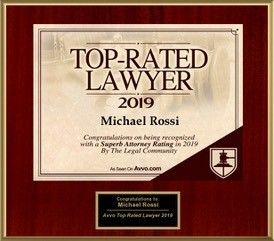 The award-winning Buffalo lawyers at The Rossi Law Firm provide results-oriented and client-focused representation to individuals throughout New York. Michael Anthony Rossi and Nicholas Michael Rossi form a results oriented team prepared to aggressively and thoroughly protect your legal rights and interests. 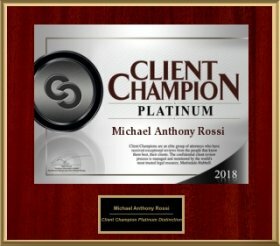 The Rossi Law Firm represents clients charged with DWI and criminal offenses, clients facing the uncertainty of divorce, and clients with personal injury claims in Buffalo and throughout New York State. No matter how difficult or complex your case is, the experienced trial lawyers at The Rossi Law Firm can help you! The Rossi Law Firm has been helping clients throughout New York State for nearly four decades. The Rossi Law Firm cares about the results of your case as much as you do! Call (716) 854-5555 today to speak with one of the lawyers at The Rossi Law Firm! The Rossi Law Firm is a Buffalo law firm committed to providing competent, compassionate, and cost-effective legal representation to the people of Western New York. 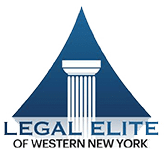 Established in 1981, we have created a legacy of trustworthy legal representation for all things related to criminal and D.W.I. defense, divorce and custody matters, and serious personal injury claims. At The Rossi Law Firm, we are dedicated to offering our clients the best possible legal counsel, to secure the best possible outcome. 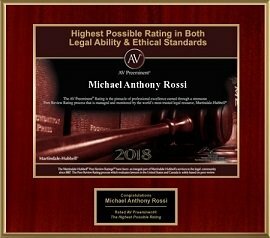 Due to nearly four decades of successful litigation experience, The Rossi Law Firm prepares every case thoroughly and extensively for trial, even if trial is not necessary. Whether you need legal representation for a personal injury case, divorce matter, or criminal or D.W.I. charge, our award winning team is devoted to helping you achieve the best possible results for your case. Get an Award-Winning & Experienced Legal Team On Your Side Why Hire Us?